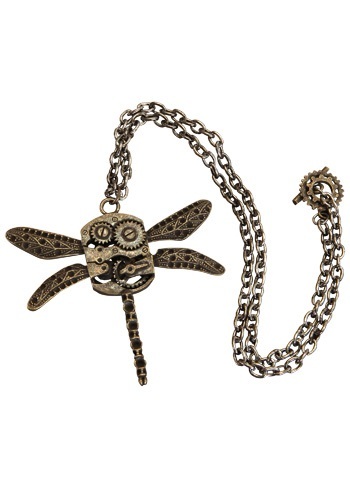 Antique Dragonfly Necklace By: Elope for the 2015 Costume season. As the sun rises upon your hidden dirigible, you asleep in your quarters awake now and are ready to dress for the day. Don�t forget your Antique Dragonfly Necklace hanging in the corner as you head out to captain your ship. You never know when you may need it.